Wondering what to do after the rugby? Well, wonder no more! 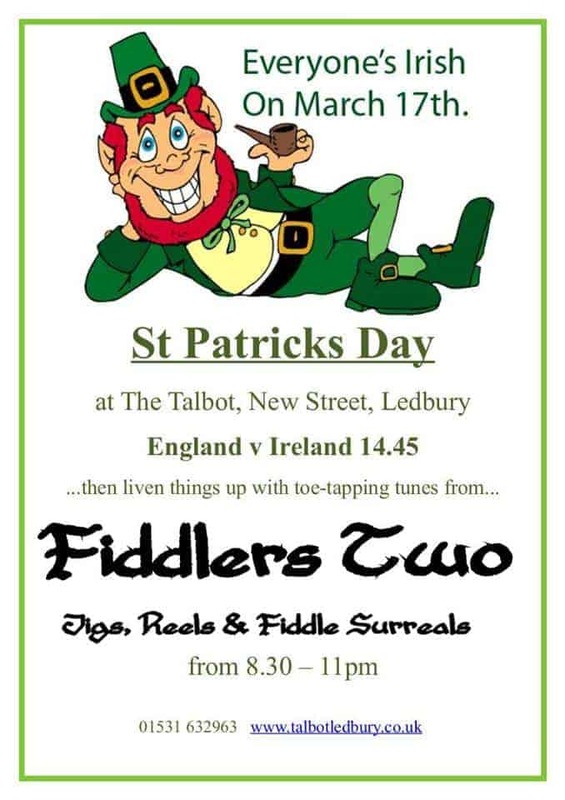 FIddlers Two will be bringing a heady mix of Jigs, Reels and Fiddle Surreals to help celebrate St Patrick’s day in the traditional fashion.